Cardboard boxes are every procrastinating college students’ best friend. When it comes time to move apartments or head home for the summer, cardboard boxes are just one grocery store trip away. Other people who are moving or storing will also often lean prefer cardboard boxes because they are easy to come by, especially if they purchase a lot of items online. Cardboard boxes are not always the holy grail of storage that we often think them to be. In fact, there are many situations where cardboard is not your best storage solution. Today in the Affordable Family Storage blog, we take a look at reasons you should avoid cardboard and reach for a different storage container instead. Cardboard boxes may work for a single move, but try to re-pack them for storing or hauling items again and you may find yourself in some trouble. Most boxes are not built for heavy-duty storage, so even a load of DVDs and Blu-Rays may be enough to distend the boxes. Fluctuating temperatures and moisture can also contribute to the slow break down of your boxes. Because they are essentially made of paper, any amount of humidity or exposure to moisture will contribute to their deterioration. Anyone who owns an appreciable amount of books or heavy electronics knows this fact already. Cardboard is not up to the challenges of supporting a lot of weight. Even when reinforced with serious amounts of packing tape, cardboard will become distended when loaded with substantial items. Stack one box on top of another, and when you return to your storage unit a few months later, those boxes will be noticeably squashed. Don’t risk the safety of your valuables by storing and stacking them in cardboard. Opt for something much sturdier like bankers boxes or plastic totes. Because cardboard boxes are both a food source and a dark and quiet home for roaches, they are notorious for attracting the pests. While the experts at Affordable Family Storage take every precaution to prevent pest problems, you may unwittingly transport some of the critters into the facility yourself. If you’re going to use cardboard to store your items, it may be best to check for insects before loading them with your items. For the above reasons, it should be pretty evident that cardboard is not ideal for long-term storage. 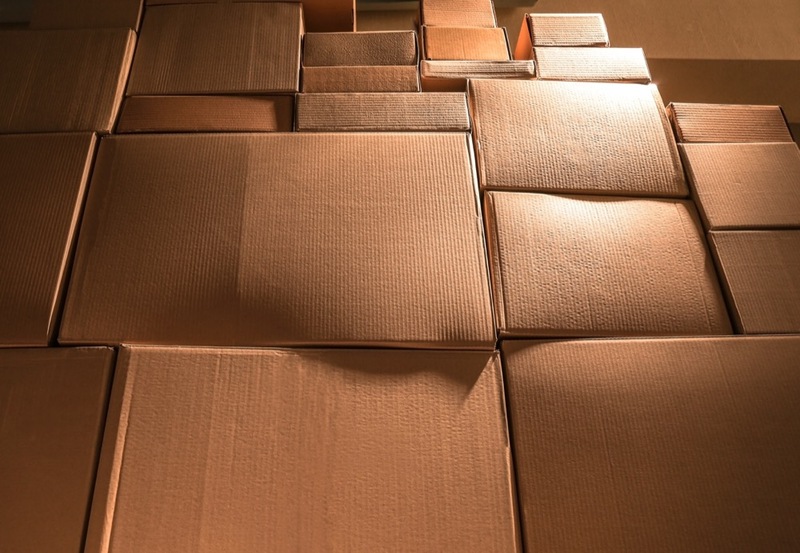 Because they are prone to breaking down, they are easily crushed, and because they attract pests, cardboard is probably the best option for moving or short-term storage. If you are struggling to find packing supplies, we’ve got you covered. We offer packing supplies on-site so you won’t have to go scrounging around for damp boxes from the produce section at your local grocery. Find out about these amenities and more by visiting us here.